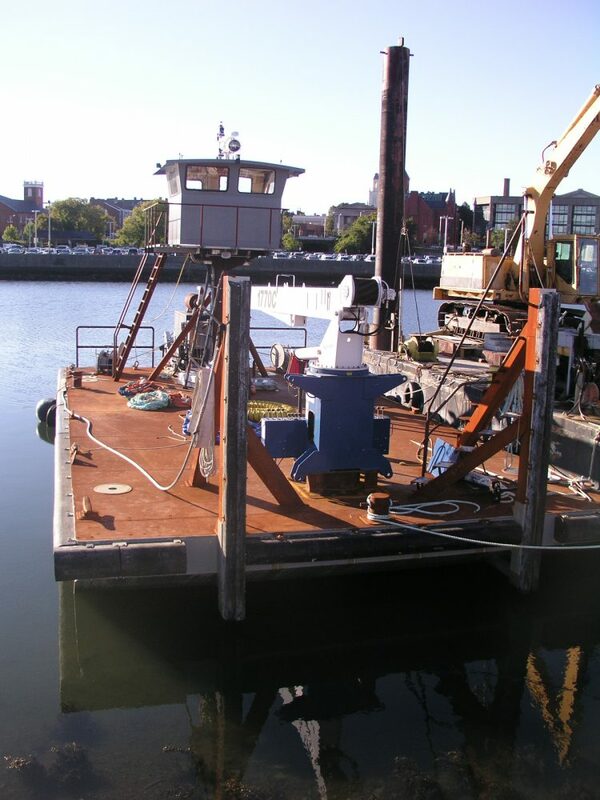 The MANTIS is a 40’x30’ azimuth drive tractor push boat. 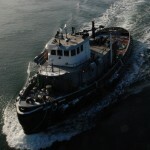 She is powered by a 350 h.p. 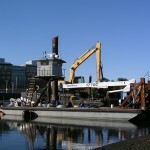 John Deere Diesel. 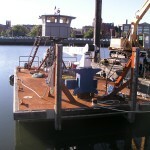 This vessel has an eye height of 25+ feet over the water. 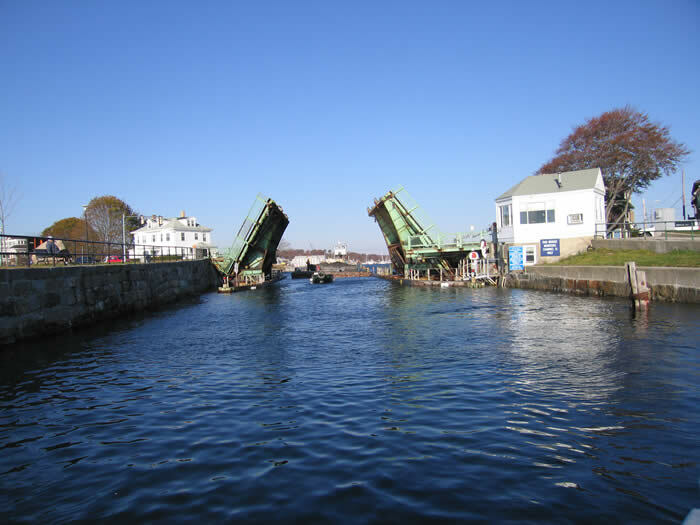 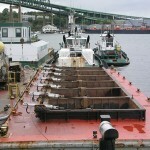 The primary function of the MANTIS is the maneuvering of the dredge and the movement of dump scows in restricted waterways. 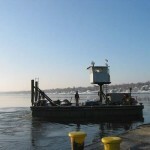 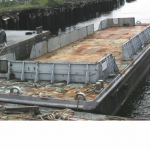 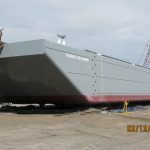 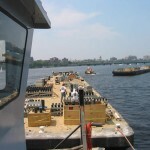 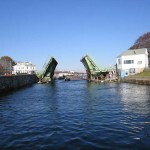 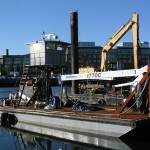 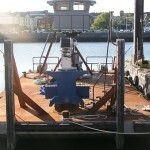 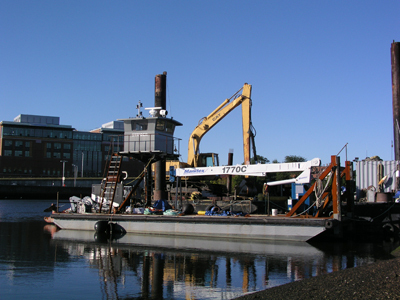 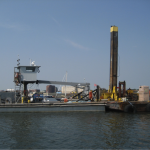 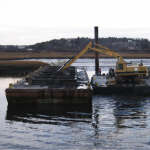 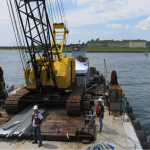 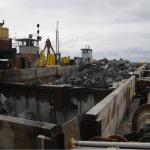 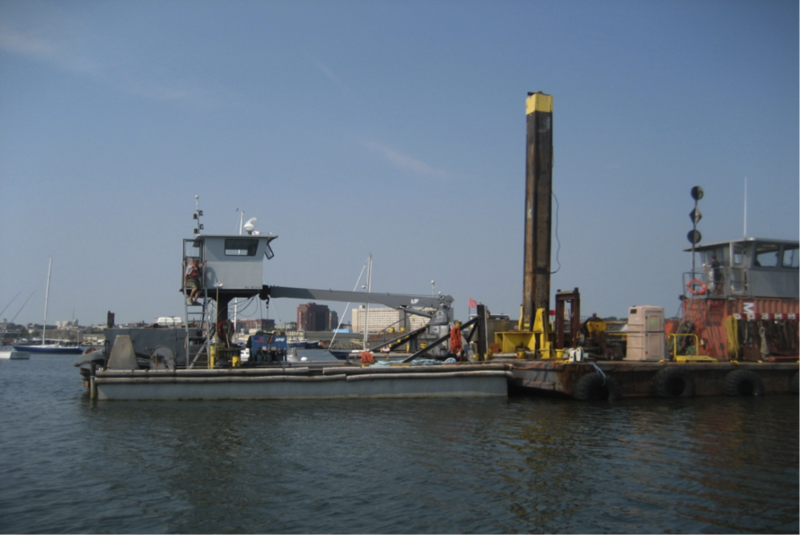 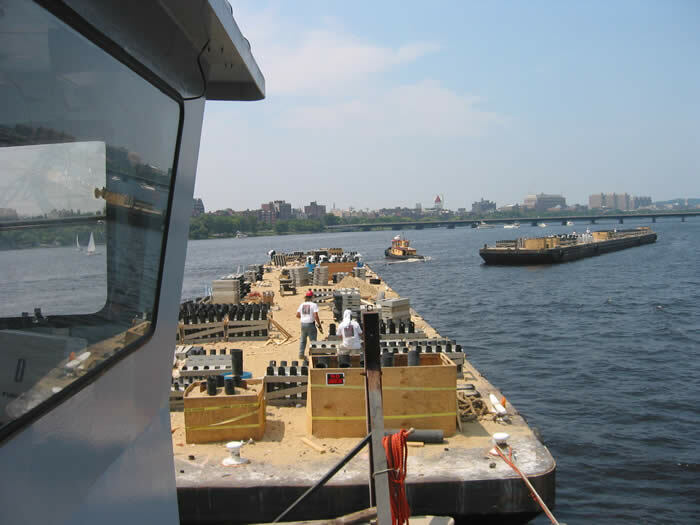 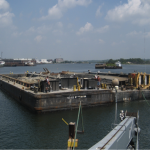 Its use also entails anchorage, boom deployment, debris removal and minor construction. 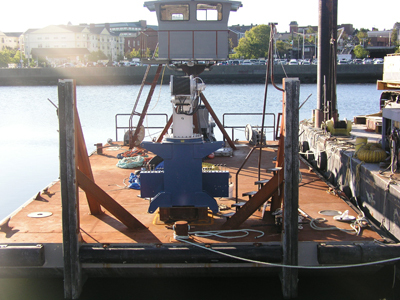 Also on board is a JLG 12 ton hydraulic crane for maintenance work aboard the many vessels. 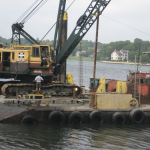 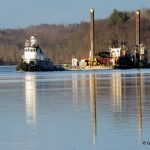 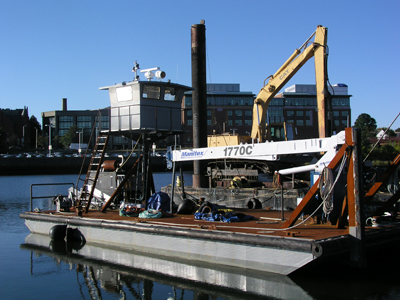 The MANTIS is truly a unique piece of equipment with exceptional maneuverability and flexibility, which allows it to work as a standalone platform or in concert with other dredge equipment. The MANTIS is also equipped with Furuno Navigator Moving Map GPS. 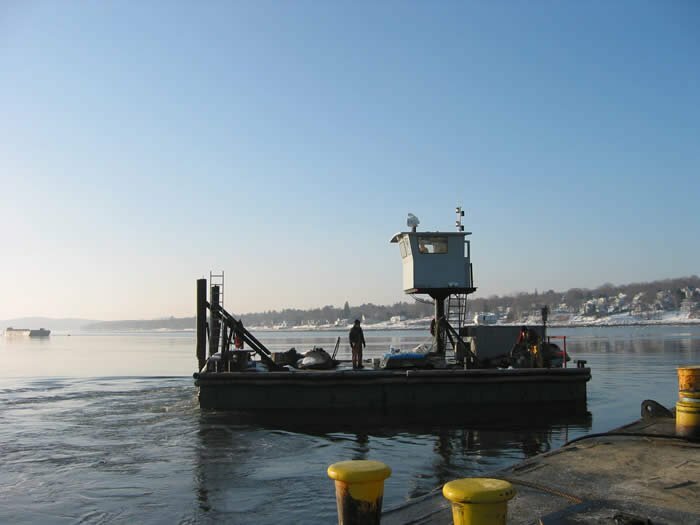 This vessel is Uninspected Towing Vessel (UTV) Certified.